Julia Flores Colque Bolivian woman oldest person in world secrets. Home Scandal and Gossip Her secret? Bolivian woman oldest person in world at 118. Her secret? Bolivian woman oldest person in world at 118. 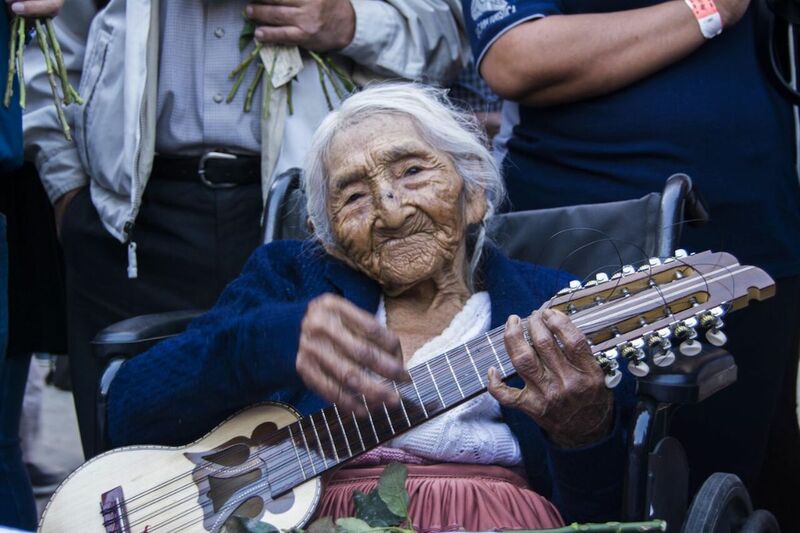 Pictured, nearly 118 year old Bolivian woman, Julia Flores Colque. Bolivian woman, Julia Flores Colque at nearly 118 years old is regarded as the oldest person in the world- but what’s her secret? 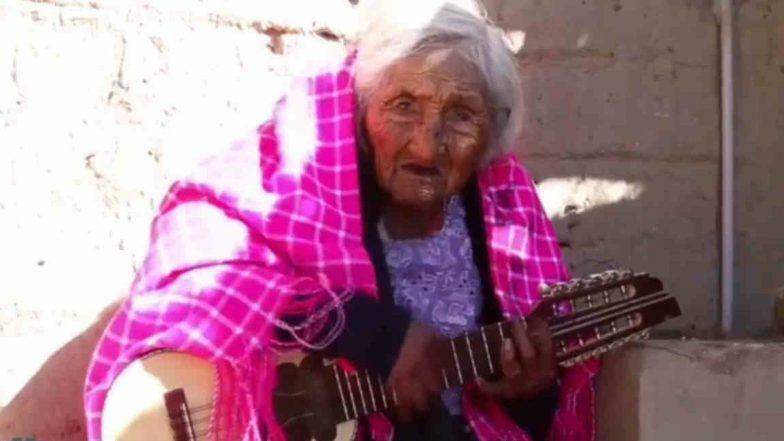 Local reports have told of a nearly 118 year old Bolivian woman as being the oldest human being (alive) in the world. 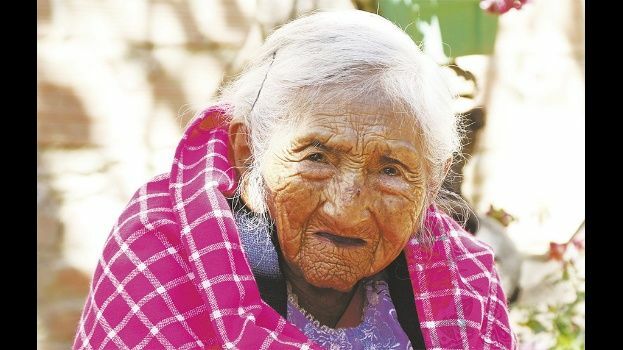 Born October 26, 1900 and aged 117 and 10 months old (according to her national identity card) Julia Flores Colque is thought to be the oldest woman in the Andean nation and perhaps the oldest living person in the world. Despite Colque’s staggering and purported age, the Guiness World Records has told of not having received an application for the elderly woman. A point of reference that has left Flores Colque nonplussed as her record has not been confirmed. To boot, the woman who still sings in her indigenous Quechua tongue has not even heard of the reference book. 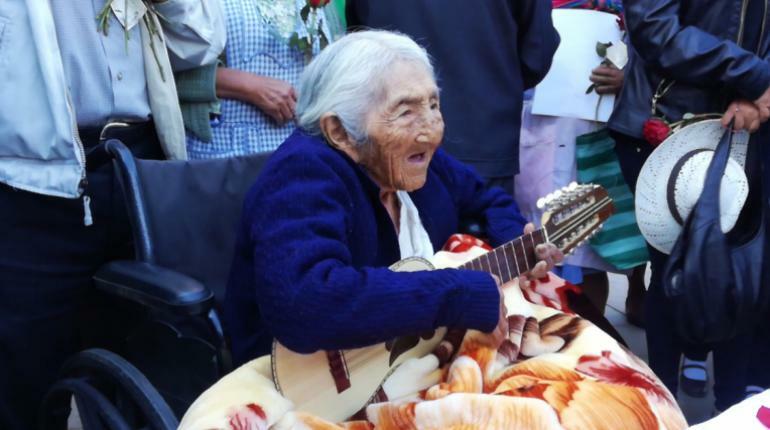 In her long life, the Bolivian woman who hails from the rural town of Sacaba has witnessed two world wars, local revolutions and the transformation of her home town from having a population of 3,000 people to a bustling city of more than 175,000 in five decades. When not singing or strumming on her tiny Andean guitar known as the charango, Flores Colque enjoys the company of her dogs, cats and chickens. She is lucid and full of life, and she loves a good cake (but how much sugar?) and singing folkloric songs in Quechua to anyone who comes to visit the dirt-floor adobe home she shares with her 65-year-old grand-niece, Agustina Berna. The produce became her main source of sustenance, and she still maintains a healthy diet though she does indulge in the occasional cake and glass of soda. She never married and has no children – which might say something about dealing with stress and heartache or the absence of familial love. Birth certificates did not exist in Bolivia until 1940, and births previously were registered with baptism certificates provided by Roman Catholic priests. Ms Flores Colque’s national identity card, however, has been certified by the Bolivian government. Which is to suggest a caring community and local foundations have come to the elderly woman’s aid and enabled her to maintain a sane sense of mind and the faculties of being. Just a few years ago, she still walked briskly. But then she fell and hurt her back, with a local doctor saying she would never walk again. She proved the doctor wrong.